HomeUncategorized5 Mobile Phones with Unique Concepts – Tech Tuesday! 5 Mobile Phones with Unique Concepts – Tech Tuesday! The mobile handset industry is in a state of rapid turmoil, with some really amazing innovations. When the concept of Mobile phones was introduced 15 years ago, there were only a handful of handset manufacturers and the costs were so high that many people did not see this concept taking off in India at least. At present, the Indian Market itself sees about 100 Manufacturers and some 20-25 telecom companies vying for the huge base of Mobile phone users. The past decade has seen such a rapid spurt that the density of mobile phone users in India is the highest in the World, and allegedly, Manipal Town has the highest reported use of Mobile Phones in India! 1. Olive frvrOn: As the name might suggest, this mobile will stay on forever, unless you switch it of that is! Whether you are traveling or residing in Rural India with plentiful power cuts you can definitely manage to get an AAA battery, right? Basically this phone gives a 3 hrs of talk-time or 4 days of standby but even if you run out of battery, you can charge it by putting a normal AAA dry cell in the mobile phone. 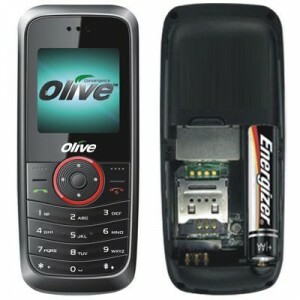 The phone gets a short charge from the AAA battery, enough to provide about 30 min of talk-time and an hour of standby. Not much but still helpful in an emergency. Guess the price, Just Rs. 1,299. 2. Wynncom Y45: What? What brand is this? If you think QWERTY is only made for office going entrepreneur hunks, give it a second thought. Wynncom, which entered the Indian markets fairly recently has come up with a QWERTY based mobile which can be used to type in Hindi. 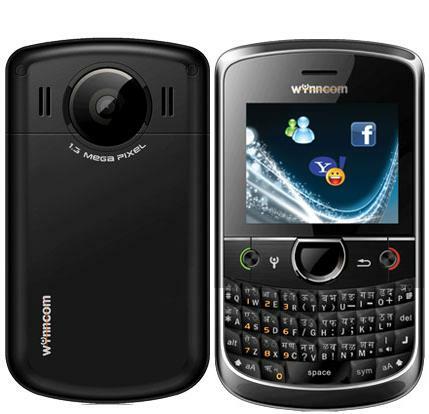 Wynncom Y45 is a dual sim phone comes powered with an application developed by 160by2.com enabling users to send free SMS to any mobile not only in India but also to UAE, Kuwait, Saudi Arabia, Singapore, Malaysia and Philippines. So for all those students from Malaysia and the Middle east studying in Manipal, this might be a boon! 3. Vodafone VF247 Solar energy is not a new concept but its seamless integration in a handheld device will definitely serve billions of energy-starved rural masses. This was tried earlier by Samsung but failed due to very low output of 5 to 10 minutes of talk time for each hour of charging. Vodafone VF247 charges full battery in 8 hours of plenty sunlight and can support more than eight days of use on standby and four hours of talk time. It also comes with an electronic charger, an FM radio and a powerful torch light. 4. Lava Alpha B2 & B5: Of course, not everyone of us can use the QWERTY system of typing out stuff! Lava took the initiative of helping out the rural masses and the computer illiterates among us with the introduction of Alpha keypads. Lava B2 & B5 comes with alpha keypad and Lava B5 also has the credit to become the first phone to integrate the rupee symbol in it. 5. 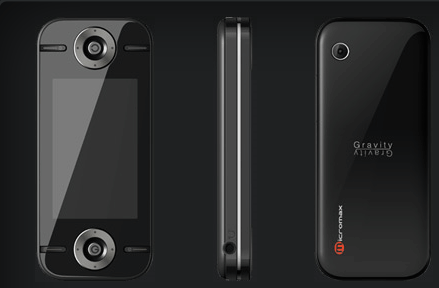 Micromax Gravity GC700: Micromax Gravity has a unique design where you can hold the phone upside-down to shift from GSM to CDMA instantly. Obviously this cold not be the only reason to include this device in the least. If you notice the design of mobile, it has a D-pad on both the sides with 5-way key and the phone also features accelerometer. Now I think this design if undergoes further R&D could easily be used to create a great gaming phone as it could provide an option to utilize the combination of D-pads and motion sensors to play the game. Biggies around should think about it.